You’ve got to get out of the car to make the most of a California Central Coast road trip. How else will you get close enough to count the whiskers on playful otters, taste exceptional small-batch wines, explore a castle built for American publishing royalty, or stand on the beach to marvel at surfers catching just the right wave? With the Pacific Ocean on one side and fields and mountains on the other, a drive up the Highway 1 Discovery Route — which is between Los Angeles and San Francisco — lives up to its name. Most people have as their goal driving the spectacular scenery of winding, coast-hugging Highway 1 to Big Sur. But taking your time and making stops along the way in the Central Coast has its payoffs, as this four-day itinerary will show. 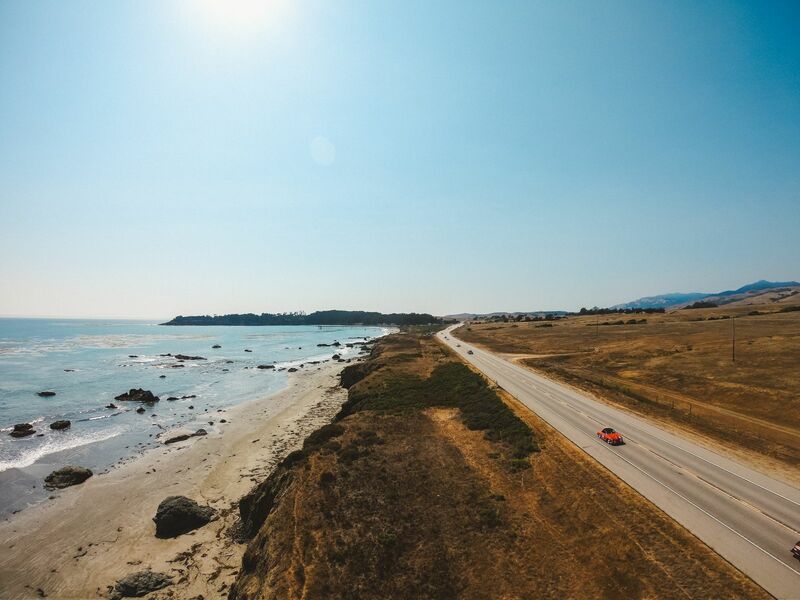 Pick up a rental car in Santa Barbara (tip: for great views and less stress, take Amtrak’s Pacific Surfliner from Union Station in downtown Los Angeles to Santa Barbara’s Funk Zone nabe) and head into San Luis Obispo County, affectionately known as SLO. It got the name with good reason — it’s relaxed vibe and rural surroundings will force you to slow down. The road swings inland initially, past farmland and vineyards. The first stop is just over an hour down Highway 1, near Nipomo, and it’s a quirky one: a free tour at the Luffa Farm. You may know them as loofah shower sponges. They’re actually gourds. Cool. Now the road heads to the Pacific. Nearby Avila Beach is a pretty ocean-front town. Kraken Coffee Co. brews a killer cup of java and there are boutiques and surf shops, good beaches and a promenade. Overnight at the Avila Village Inn, a newish Arts and Crafts-style hotel that’s just outside of town. Drive along the Pacific Ocean for all those sun-and-surf views you’ve heard so much about. Pismo Beach and Avila Beach next door are small surf towns with great beaches, dunes, and Instagram-worthy piers. A morning kayak adventure with Central Coast Kayaks got me whisker-close to sea otters and harbor seals. My guide shared knowledge of local wildlife and history while we paddled. After we beached our kayaks, we climbed a set of stair to tour the restored circa-1890 Point San Luis lighthouse. You can also hike to the spot from the road, but there are no otters, which makes kayaking the right choice. Head back inland to the Edna Valley, just south of San Luis Obispo via State 227, to taste impressive wines at more than two dozen small producers like Claiborne & Churchill Winery and Stolo Vineyards estate. Download a wine trail map from the SLO Country wine producers website to guide you. The ocean-side town of Cayucos doesn’t have much to offer as a destination, but it has a fantastic place to stay. 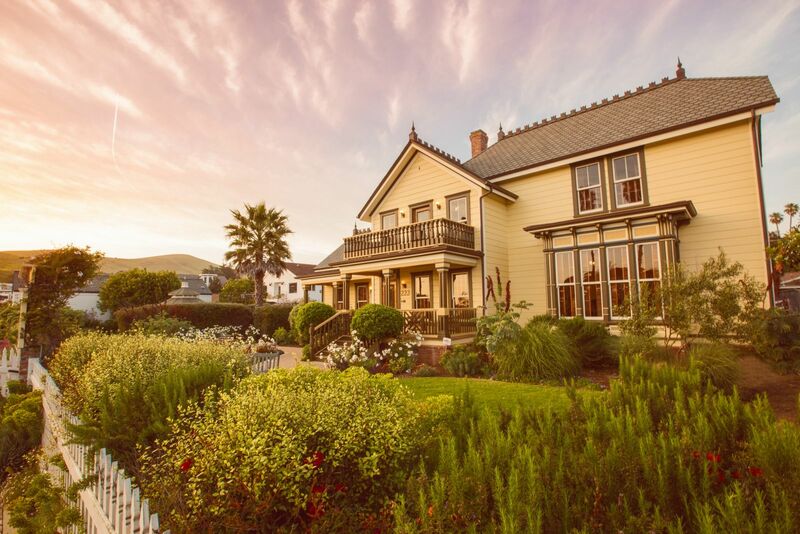 Cass House is a five-room boutique hotel in the circa-1875 home of former ship captain James Cass. Surrounded by gardens, the on-site Bakery (try the massive popovers with honey butter) and The Grill dining room are top-notch, drawing from the best of nearby farms and purveyors, like baseball-sized artichokes grilled over hardwood, and lush and creamy avocados. A local “meet the winemaker” list introduced me to a superb Grenache by Devil’s Gate, a tiny Cayucos producer who makes just 50 cases of the wine a year. I never would have tasted this gem anywhere else. Back on the road and you’re sure to ask, “What’s that weird rock formation?” Morro Bay is one of those all-you-can-eat crab and bottomless margarita tourist stops. But it also has Morro Rock, a volcanic plug that earned the town the nickname the Gibraltar of the Pacific. A quick look and then head to Cambria, a picture-perfect village with rocky shorelines to explore from the boardwalk at Moonlight Beach and quaint shops and restaurants downtown (including wine-tasting rooms). Here’s your chance to eat something you’ve probably never tasted: the olallieberry. The blackberry cousin is the star attraction at Linn’s restaurant and bakery. Olallieberry is in everything at this stop, from preserves to pie. Robin’s Restaurant, in the historic part of town, has a hidden courtyard and is a good choice for dinner. As for accommodation, there are lots of low-rise hotels along the beach. We stayed at the Blue Dolphin Inn. This is your day for goats, elephant seals, and a castle. 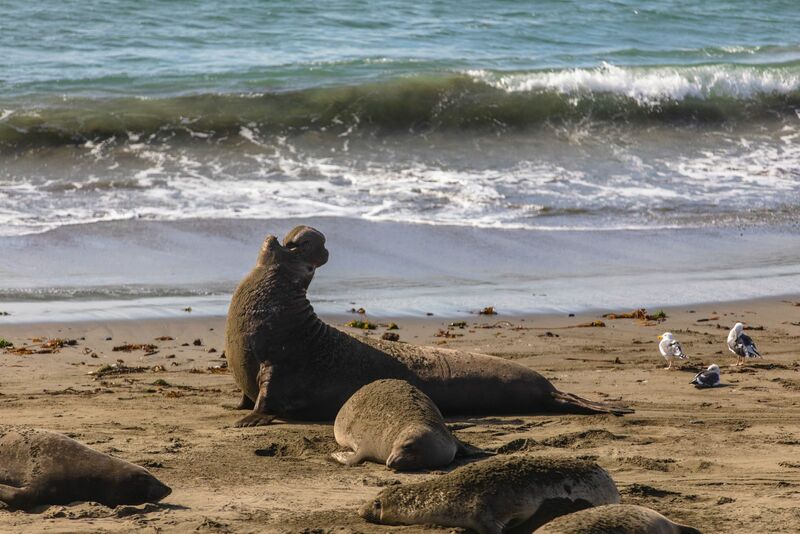 About 16 kilometres (10 miles) north of Cambria, visit the home of a sizable group of bellowing elephant seals at the Piedras Blancas Rookery. They’re loud, smelly and fascinating, especially the males with their large, flapping snouts. 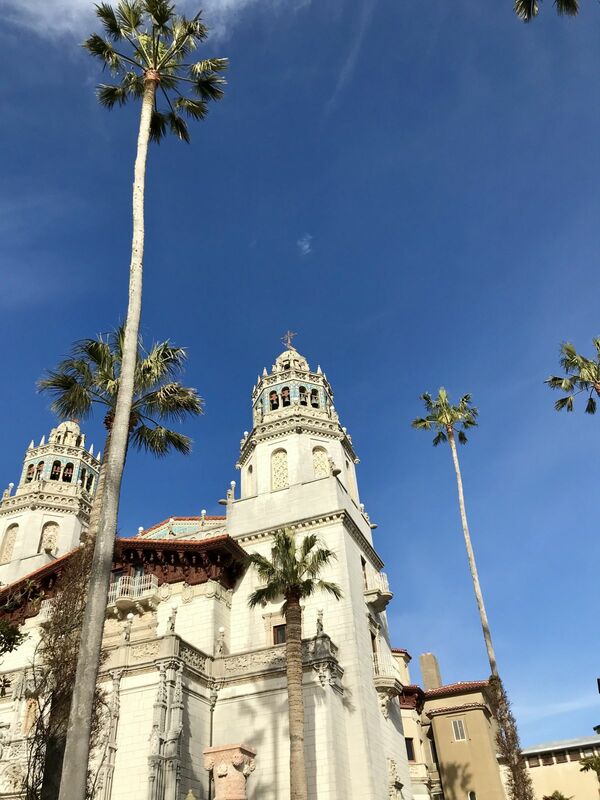 Look up into the hills as you approach San Simeon and you’ll likely spot a white mansion bracketed with tall, skinny palm trees. Behold Hearst Castle, William Randolph Hearst’s estate and ranch, where exotic animals once roamed. The massive house on the hill was filled with all he could cart back from Europe. Inspiration for the fictional Xanadu of Citizen Kane, it’s all pretty over the top, but when tour buses wind up the hill, the castle is quite breathtaking. You can participate in a variety of tours (best to book online as the options quickly fill up). The one-hour Grand Rooms tour is a good bet. Head across the highway to the wee village of St. Simeon and dine at Sebastian’s, home of a heritage post office where you can also taste Hearst Ranch Winery wines. (Look for the Rosebud sleigh on the wall.) Or buy a bottle of southern Rhone Valley-inspired GSM Reserve to enjoy with your Hearst Ranch-raised beef burger, while admiring the grand house on the hill and hearing cries of “Xanadu!” in your head. For more on the Highway 1 Discovery Route, go to highway1discoveryroute.com.